The Alcohol and Other Drug Program is part of the Counseling Center. It provides services that address the complex and comprehensive concerns around alcohol and other drug use as they relate to students. The primary intent is to support students' health, safety, and academic success. All appointments are confidential. We're located in the Student Services Building at 610 E. John Street in Champaign. We no longer have offices at McKinley Health Center. Students seeking services will check in on the second floor at the Counseling Center reception area. We are open Monday through Friday from 8 a.m. to 5 p.m. AOD prevention programs are available evenings on request. To contact us, please call 217-333-3704 or fax 217-244-9645. 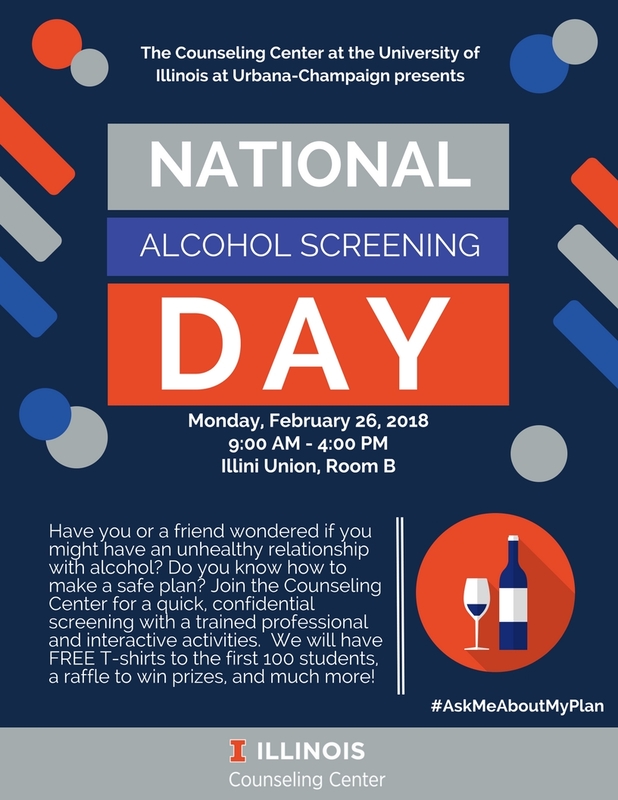 The Alcohol and Other Drug Program mission is to provide focus and structure to facilitate appropriate efforts in order to assess and address problems and substance use on campus with the intent to protect the student’s health, safety and academic success.